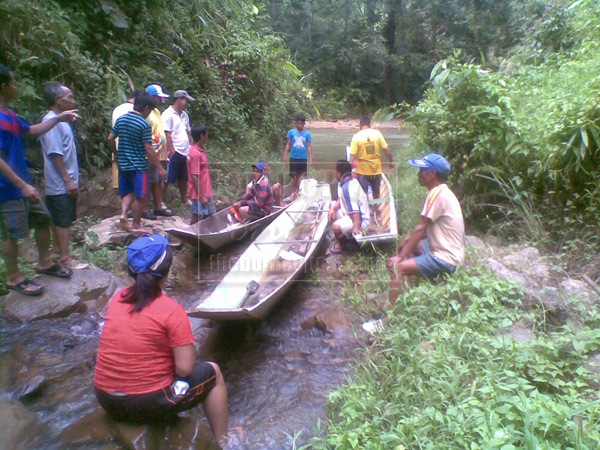 STREAMING A MICRO-DAM: Residents of Nanga Talong Engkari getting themselves organised to inspect the dam site before installation of the micro-hydro dam. BFM seeks to provide access to basic amenities like clean water and electricity. Micro hydro dams can be an excellent method of harnessing energy from small streams. KUCHING: In conjunction with a lighting-up ceremony on July 13 to mark the completion of the micro-hydro dam powering up Nanga Talong Engkari, Lubok Antu, provided by Barefoot Mercy (BFM), residents will also be receiving free health checks from the Malaysian Medical Fellowship (MMF). MMF is a non-profit organisation founded in 2007 that provides volunteering opportunities for medical students, healthcare professionals and volunteers to promote good healthcare, welfare, education, community development and values. The installation of the micro-hydro dam marks another milestone in BFM’s citizen’s initiative, a local NGO to ensure that everybody in Sarawak has access to basic infrastructure and amenities like clean water and electricity. “What Barefoot Mercy is doing is meeting a need that is so essential. Some people when they see a problem, they sit down and complain. But BFM sits down and tries to fix it,” said district health officer Dr Dalvinder Singh, on MMF’s collaboration with BFM to provide mobile medical clinics and health education. He is also MMF’s founding director. Tentatively, their team will consist of five medical staff comprising doctors and dentists who will also be providing their medical services to patients from neighbouring villages. Meanwhile, work on sorting through clothes generously donated to BFM during their ‘used clothes drive’ held March 16 was made lighter with the help of the St Thomas Leo and Lion’s Club Kuching recently. At least 105 bags of menswear, women and children’s clothing have been sorted for donation while branded items (D&G, GAP, Guess) and urban wear from the clothes drive collection will be put up for sale in the near future. Also in the works is a charity dinner to be held in September at Pullman Hotel which will feature the hilarious antics of Malaysian Association of Chinese Comedians (MACC), a comedy troupe made up of founding members Douglas Lim, Jenhan, Chi Ho and most recently Dr Jason Leong. The troupe specialises in funny observations, song parodies, impersonations and witty revelations. Formed in 2011, BFM is a local non-profit group where its members come together to contribute their individual and specialised skills to, from improving access to basic infrastructure for rural indigenous communities in Sarawak. To date they have distributed water tanks to longhouses in Kanowit and installed micro-hydro systems in the villages of Long Kerabangan and Long Tanid in Ba Kelalan.